Last week, my company headed from all over the place to meet up in North Carolina to meet the people at Inmar, Inc., who bought Collective Bias at the end of 2016. One of the things Inmar, Inc does to help integrate the companies it acquires is to have the new people do a skit, a song...something! They're a very personal company, and they want the company they bring into the family fits with them. So, Holly Pavlika came up with a great idea to have us be the "Largest ensemble of people playing the triangle"! Isn't that the craziest thing ever? lol I mean never in my life did I ever think I'd be involved in something that had to do with breaking a record. We learned that there were 7 pages of rules Holly had to look over, and I'm pretty sure she didn't sleep at all. 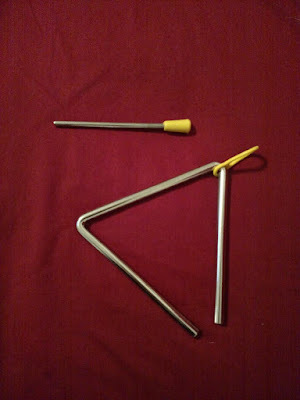 Before she headed to North Carolina, she purchased a conductor baton at Juilliard because we had to have a conductor. The song she chose was "Heard it Through the Grapevine" and we had to play it for 5 minutes! The previous record had been nearly 600 triangle players. Not too bad. We could do it with the combined people of Collective Bias and Inmar, Inc, right? It was time to get this show started! Everyone from CB walked up to the front of the stage. We were supposed to lead everyone from Inmar, Inc. in the playing of the triangles. Off we went! Ting, ting, ting, ting to Marvin Gaye! I started grooving in my spot. Totally getting into the song. How do you not? I mean, it's a fun song! I'm tinging my triangle, swaying to the music. Things were going great! THEN I see movement out of the corner of my eye. To my left, I see someone else having fun, and then they start to move out of the group! YES! Someone who dances when they feel like they've just gotta move! Not only was she grooving, she started to go around the room. I knew I was going to follow her! Off I went, cutting through the group. Woo Hoo!! Totally in my element. Let's dance people! I see one of my other friends in the group, and I wave at her to follow me. I'm thinking, "conga line!" I noticed someone else moved from the group, too. This was SO great. Dancing and playing the triangle. All around the room. Ting, ting, ting. Made it to the front and the song ended. Whew...hopefully everyone played their triangles. They all knew we were, the 3 of us that danced around the room. I tell ya, 5 minutes goes fast when you're dancing and playing the triangle. As soon as I sat down, my boss, who was sitting next to me said something to the effect of, "Wouldn't that stink if we were disqualified because you guys danced?" Oh. My. Gosh! WHAT?! That question threw me off for the next couple of hours as we waited to find out the fate of our attempt. What if the 3 of us ruined it for the entire company! One minute I've never given Guinness World Records® a thought, then next I'm absolutely petrified that I've ruined it for everyone! I was really upset. I mean, if it had just been me, who cares, but to ruin it for an entire company? UGH! See I just danced. Nothing malicious. No bad intent. I truly didn't even think about how it could be against the rules do move. Heaven's to Betsy, the stress was terrible! When they came back to announce if we had done what we set out to do, I was on pins and needles. The guy who was deciding if we made it, was up there cutting it up, making jokes. Apparently there were 11 people who were doing something other than just playing the triangle. I remember seeing 3-4 people standing in the Inmar, Inc. doing some dancing in their spots. Nothing big, just some swaying. I have no idea who the rest were. From what they were saying, the 11 of us weren't included in the count. So sad, but we made it! Whew! I didn't ruin it for everyone! 876 people counted towards the Guinness World Records®! Then I was really bummed that moving around made it so I wouldn't be counted. And I was also feeling terrible that I did break the ranks. I decided to apologize to Holly because of all the work she did, even though what I did wasn't intended to ruin anything or cause an issue. Think before you act kids, even if it's dancing. I found her the next morning, and I told her I was sorry for the dancing, and she was like, "What are you talking about? We were just kidding! We had that planned. hahahaha" She thought our dancing was fun. My response after spending the day before and a restless night with guilt was, "I officially hate you right now!" HA! Well, he was saying that the 11 of us weren't in the count, but I told him Holly had said we were. hahahahaha I was so confused. One minute I don't think I should keep my triangle, and the next minute I'm totally keeping it and putting it in a shadow box. We got an email from Holly this past week saying the 11 of us were in the clear, and that she and the guy, Phillip from Guinness World Records® had planned to mess with us, the rule breakers. 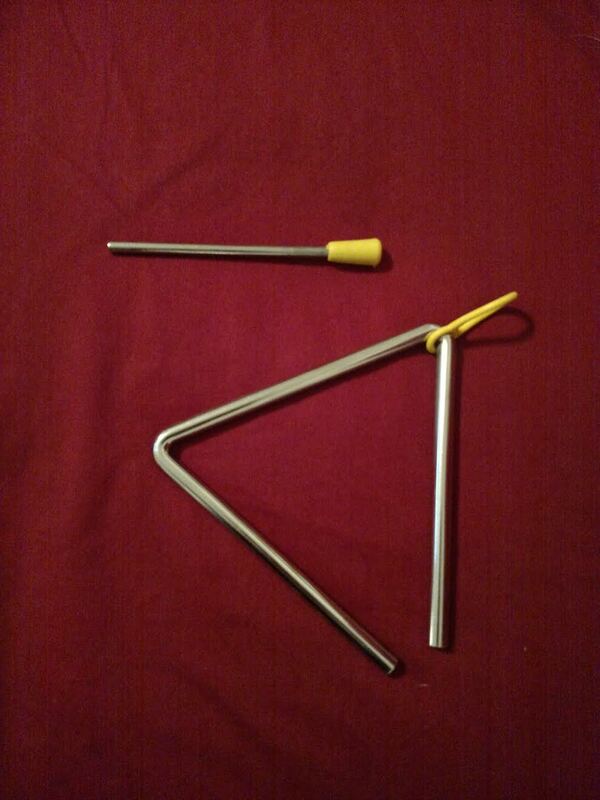 I've decided I'm keeping my triangle, and I'm going to be proud of the part I played in it. I guess I'll have to buy the book for 2017 once it comes out to see if our group is part of the collection of broken records. If you could break a record, what would it be for? This may be the coolest thing I've heard so far this year, Meems! I mean, seriously... you're WORLD RENOWNED!! I know a superstar when I see one, and you and your companies are SUPER STAHS! Triangle on, baby! MORE TRIANGLE!